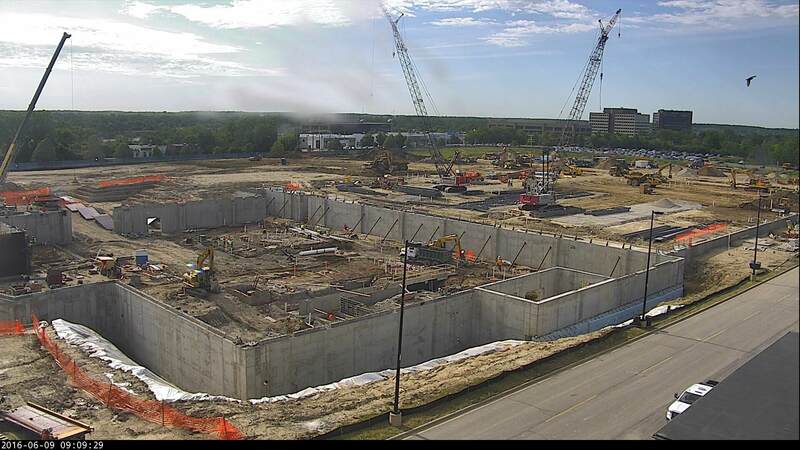 Work continues by Granger Construction on the University of Michigan Athletics South Campus Performance (ASCP) project. View the live tower camera. The Sports Performance Center basement is nearly complete, and structural steel erection is underway. The Lacrosse Building has been excavated and foundations were set to begin the week of June 13. Phase one of the site development plan will be complete in the coming weeks at which point the Outdoor Track Building and site retaining walls will begin. 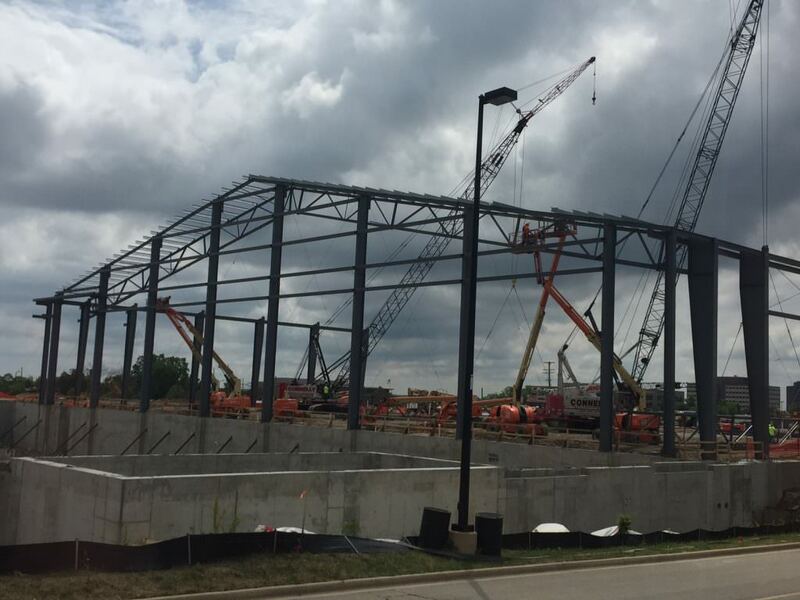 To date, the Granger team has lead four cranes, seven excavators, three dozers, three loaders, two off-road trucks and over 110 skilled workmen to put work in place, meeting all quality and schedule goals. A series of critical lifts wherein two 110-ton crawler cranes worked together to lift the 256′ clear span, pre-engineered metal building trusses to frame the Indoor Track Building was recently completed (see photo below). Granger recently engaged 45 trade contract team members in a kick off and signing event at a MIOSHA partnership. MIOSHA’s inspectors were impressed and observed no issues in their inspection of the job site and were particularly complimentary of Granger’s excavation safety efforts, as well as the traffic management and logistics plans on a busy site. The ASCP project remains at triple zero — zero lost time accidents, zero 3rd party accidents and zero near misses. At the project’s peak this fall, more than 300 workers are expected to be present. Granger Safety Manager Brian Goodman and the rest of the team hosted structural steel and precast awareness and safety training to more than 100 workers on June 8 during a safety luncheon. Extra food was donated to the DeLonis Homeless Shelter serving the homeless population in and around Washtenaw County.